We're passionate and authentic, we like to have fun, and we hope to show the love of Jesus to our communities. No matter where you’ve come from, or what your story is, you’re welcome here. We aren’t perfect, but we’re real and we’re honest. We love Jesus and have found purpose and meaning in our life. We want to share that same love with the with our communities and we’d love for you to be a part of it! Contact our Students Director, Graham Norris, at (828) 634-1112 or graham.norris@discover.church. If you are going through a challenging season of life and would like to meet with one of our pastoral care team members to pray and talk it through, we’re here for you. Please contact us to let us know your situation and to set up a time to meet. 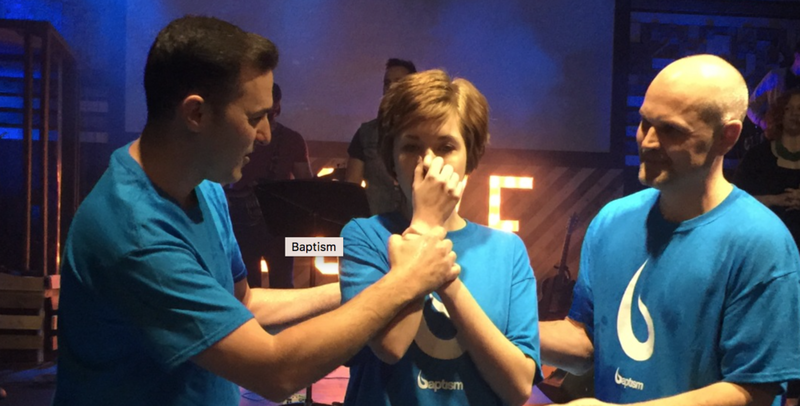 The next step after making a decision to follow Jesus is Water Baptism. Water Baptism is an outward declaration of that decision. We offer baptism at various times throughout the year. Contact us to be a part of our next baptism. We believe in the power of prayer. After every Sunday gathering, our prayer team is available in front of the stage to speak with you and pray with you. You may also request prayer through our website, and a member of the team will be given your prayer request and pray for your need. If you’re taking the next step in your relationship and have decided to get married, we’re here to talk you through the journey. From pre-marital Lifegroups, counseling and officiating your wedding, we’ve got you covered. Ben Windle has served the last decade in multicultural, multigenerational urban cities and followed Christ to serve in communities where mental illness, substance abuse, homelessness, and prostitution were part of everyday ministry. Oh, the stories he can tell. In 2014 God called Ben and his wife Mallika to Discover Church. God quickly got to work providing the vision of a thriving church that is part of an "Only Jesus" movement that is transforming lives, communities, and the world. God has grown a church of 9 people meeting in a home in 2007 into a life-giving community where people gather from all over Western North Carolina and Northern Georgia. Ben has a passion for communicating the gospel of Jesus Christ in a way that makes God's word come alive and reveals it's timeless relevance, all pointing to Jesus as our hero and our need for the atonement He alone can offer. Ben has a humorous and relatable teaching style that gives people from all walks of life an honest perspective on their relationship with God and ways to grow in their faith. Ben and Mallika have two crazy boys and one perfect daughter and are blessed to call the Smokey Mountains of North Carolina home. Ben, Mallika, Noah, Logan, and Maylee. The DLT is a team of 9 people that are appointed by the Lead Pastor to serve a 3 year term and help the Lead Pastor in a ton of ways, including assessing the organization to determine it’s alignment with the vision and formulating strategies consistent with the vision including modifying the organizational structure to insure it can support growth, managing church property, approving the annual budget, approve any purchases greater than $10,000, approving the selection of auditors as required by law, and any other necessary task required or the operating of the church. They’re awesome.